The men and women at JHS Pedals in the USA have had a very busy NAMM 2018 so far. With the announcement of five new and updated pedals in their range. This now little pedal packs quite a bit of technological wizardry in its tiny frame. The original Panther Cub V1.5 had quite a bigger footprint but this pedal has shrunk. Giving you more real estate on your board (to fit more pedals!). Featuring eight 3208BBD chips inside this small chassis, this pedal is capable of 1000ms of delay (1 second) with which you can have repeats, echoes and even notes chasing each other. How fancy. You can unlock even more musical abilities in this pedal using the four sided dial on the bottom left to play with subdivisions like dotted quavers to crotchets to quavers. Delayed rhythmic heaven. 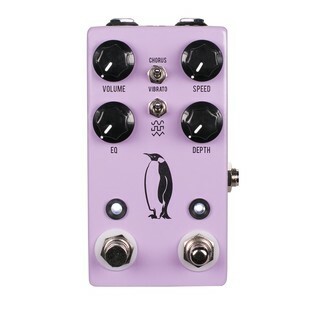 Lastly, when you aren’t using this pedal to its full capabilities (or at all) it has true bypass switching, letting your natural tone swim right through the pedal without having any lost along the way. 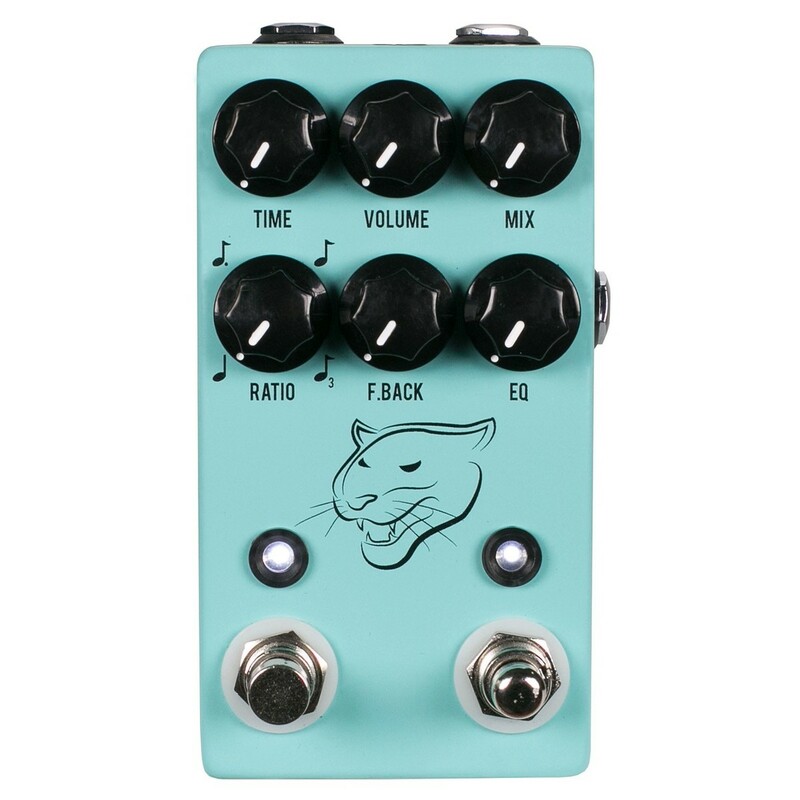 Pre Order the Panther Cub Delay V2 here. Whilst not much has changed from the already very good Emperor Chorus, one thing has. The size of the pedal. Along with the rest of these three modulation pedals we have one thing in common. Smaller footprint on the board (JHS are only thinking of you, more space = more pedals). With true bypass switching, this pedal steals none of your tone when not in use. When in use, the pedal runs on a 3207 bucket-brigade chip for an iconic, colourful chorus tone. This chorus tone can then be further manipulated with a 3-way switch that changes the waveform from either a smooth wave, a square wave or an angular peak and trough-like wave. That isn’t all though, the Emperor Chorus also has a tap tempo for easy manipulation of modulation speed set in the middle of the pedal for ease of access and a simple switch between the chorus or vibrato effects. Genius. Pre Order the Emperor Chorus/Vibrato V2 here. You’ll never guess what’s changed on this pedal. Yep, it’s also got a fair bit smaller. 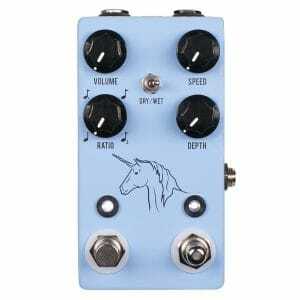 Compacting that famous smooth, rich sound the original Unicorn Vibe pedal. Powered by the very unique photocell modulator, this one of a kind pedal allows you a very precise control over speed and rate that vintage vibe pedals just can’t match or muster. The speed dial in the top right corner of the pedal lets you dial in exactly a crotchet’s note value, or an exact dotted quaver note and even triplets! What can’t this pedal do? Pre Order the Unicorn Vibe V2 here.